The game is fundamental for the development of children. With him stimulate his imagination, his emotions, relate to the environment and discover a new world. 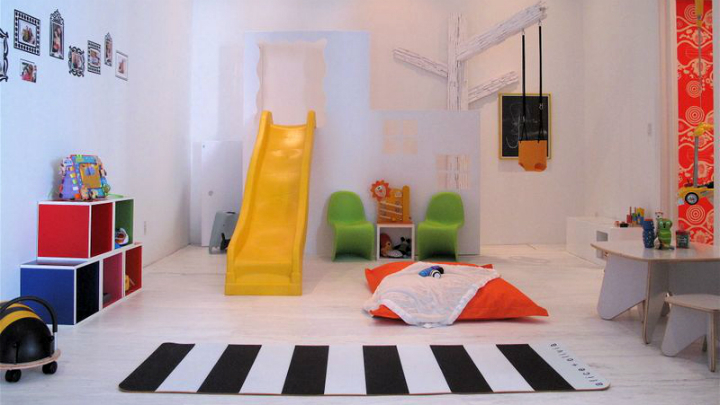 To do so in an appropriate and suitable for this environment is very important; So today we give you some ideas, to create a fun, decorative and stimulating play area for the little ones in the house. It is design spaces where they can be comfortable and enjoy everything the game has to offer. It can be an entire room or a specific area within your bedroom or other room. We tell you how you can do it then. The stories and books are part of that stimulation of which we speak. His imagination takes flight and is important to design a space to do it in comfort. Place shelves at their height so they can access their favorite books and put a chair comfortable where they can sit and read, always with good natural light and artificial light some point support. With a themed room you can create a fantasy world about what he likes the child, pirates, fairies, animals … If you have enough space you can put different elements that you can play and that they are focused on this theme. A nice wallpaper allusive or drawings on the walls will make the room acquires a unique personality. One of the things that they like the smallest of the house is camping. What do you think you install a nice tent in your room? You can do it in a very decorative way, creating a tipi to which you can add a colorful garlands, for example. Placed inside a fluffy carpet so they can play inside and spend some real good moments in his favorite hiding place. 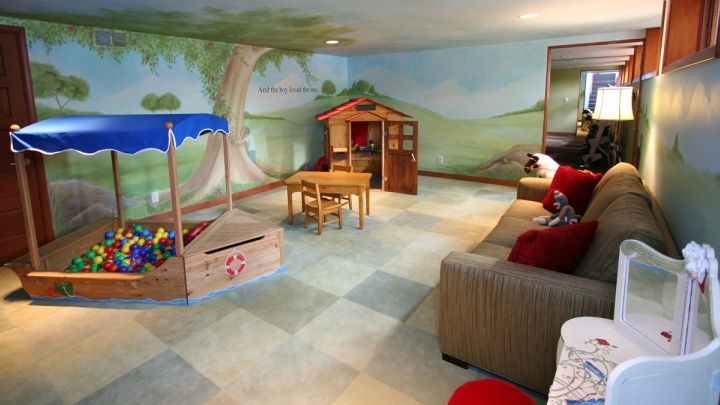 As I said before, you can place a nice paper or a painted mural on the walls of the playroom. It is a way to encourage smaller. You can also do through the colors you use, decorative vinyls with their favorite characters or drawings landscapes that make your imagination fly. Another idea is to create different areas within the same room. Look at the example that follows: there is space for the game with a very cool slide, a carpet and cushions to lie comfortably on the floor, a shelf to have everything tidy and also a table with chairs to draw, write or read. Kids love to play on the floor. It is a huge area for sidesplitting all their toys and move at ease, sharing moments with siblings or friends. So you can put a carpet, always keeping it clean and in perfect condition or, if you prefer, one or more rugs. 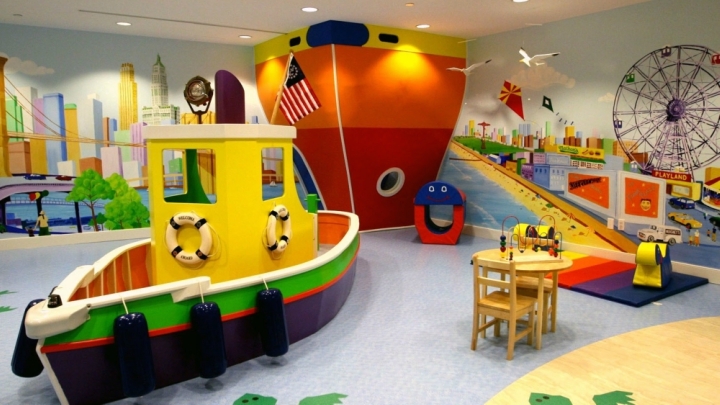 There are also rubber flooring that can be assembled and disassembled and are very comfortable for children to play on them. Slates, tents, a small hut indoors, trunks … In the play area should combine order, aesthetics, fun and functionality to convert this place into a space that children feel as their own, where they are comfortable and get fun. Visithttp://graphixgaming.com/for more tips.